Today I am going to share a very authentic recipe from Thirunelveli District – Ellu Thuvaiyal. Usually this ellu thuvaiyal is paired with Ullundhu Sadam which I will be posting soon. Ullundhu Sadham, Ellu Thuvaiyal and Aviyal make one complete meal. 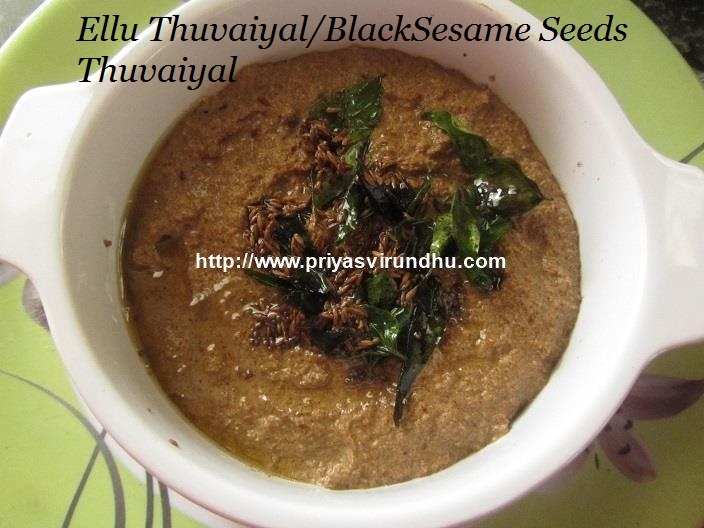 This Ellu Thogaiyal can be either made with while sesame seeds or black sesame seeds. This thuvaiyal is a very tasty, healthy and crunchy. Do try out this thuvaiyal and post your comments here. 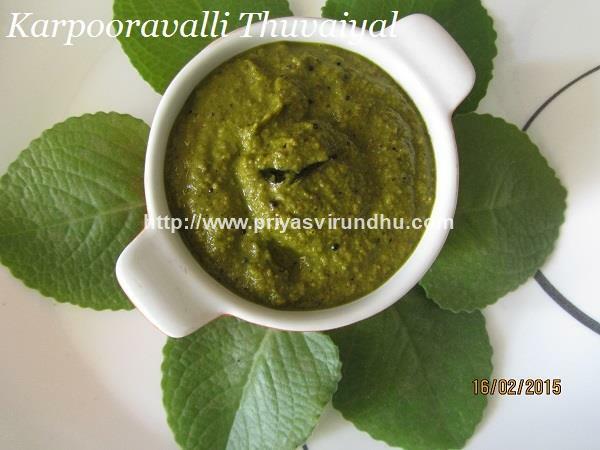 Meanwhile do check out other interesting Chutney and thuvaiyal varieties here. Today, I am going to share very simple and quick Onion Coconut Chutney, a perfect side dish for idlis and dosas. 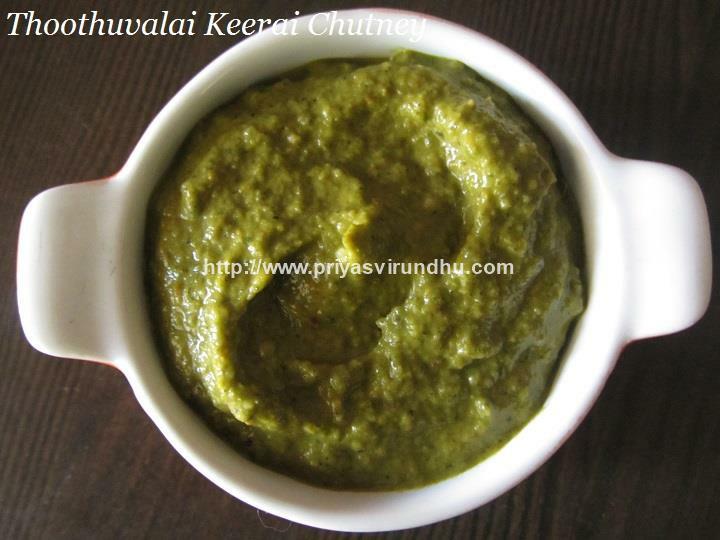 Try out this delicious chutney and post your comments here. Meanwhile do check out other interesting and mouth watering Chutney and Thogaiyal Varieties here. 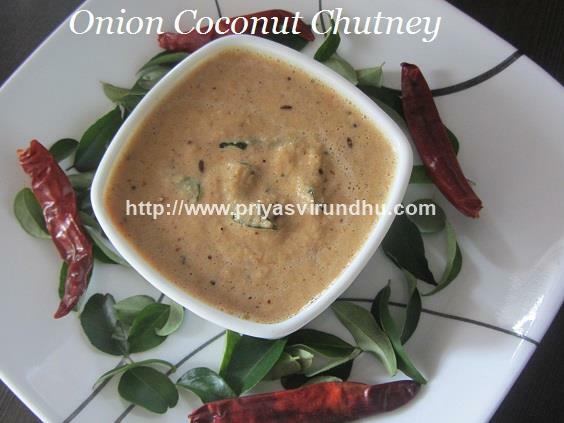 Here’s how to make Onion Coconut Chutney with step by step photos…. Today I am going to share a very traditional and famous South Indian delight – Vadai Curry, which is served as side dish for idlis and dosas. Vadai Curry is a flavourful and tasty gravy, the vadais are prepared separately and then dunked into the freshly prepared gravy and cooked together for a while. All the flavors and spices get infused into the crumbled vadai and it taste heavenly. I have fried the vadais, if you want to make it healthier then you can very well steam cook the vadai and then make the vadai curry. 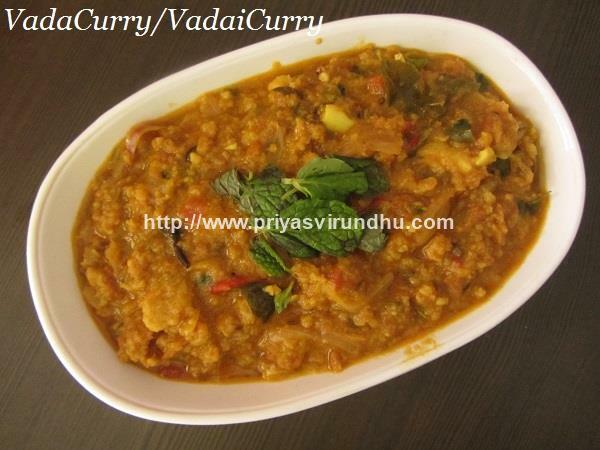 Do try out this delicious vadai curry and post your comments here. Meanwhile do check out other interesting Chutney and Thogaiyal varieties here. Priya’s Virundhu wishes you all a very Happy New Year, hope you all had a wonderful vacation. May the New Year bring joy, peace and happiness to each and every one of you. Now coming to the post, today I am going to share a lovely, spicy, tasty and healthy Ginger chutney which is a wonderful accompaniment for any breakfast dishes like idlis, dosas, rotis, pooris etc. Not only that, it is generally served along with a cup of rice during lunch. 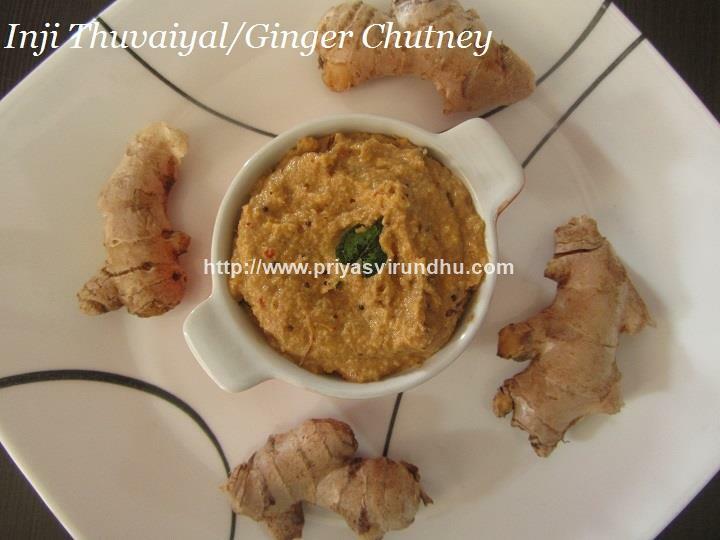 This chutney is very healthy because the ginger helps in settling down all the digestive problems. 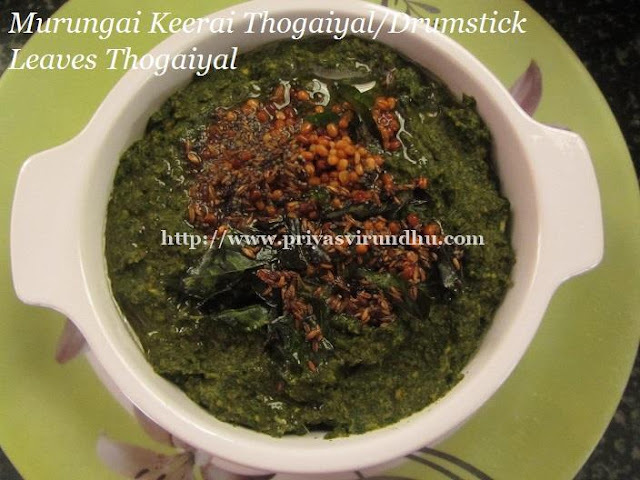 Yes friends do try out this spicy and tangy Inji thuvayal and post your comments here. Meanwhile do not forget to check out other interesting and tempting Chutney/Thogaiyal varieties here. Each day preparing different types of side dish for idlis and dosas is a challenge for many. Now try this brinjal tomato chutney which is interesting to prepare and an addictive side dish. If you usually eat two dosas, this chutney will make you eat one more. This is another smart way to make your kids also eat brinjals. Do try it out friends and post your comments. Also do not forget to check out other interesting and delectable Chutney and Thogaiyal varieties here. 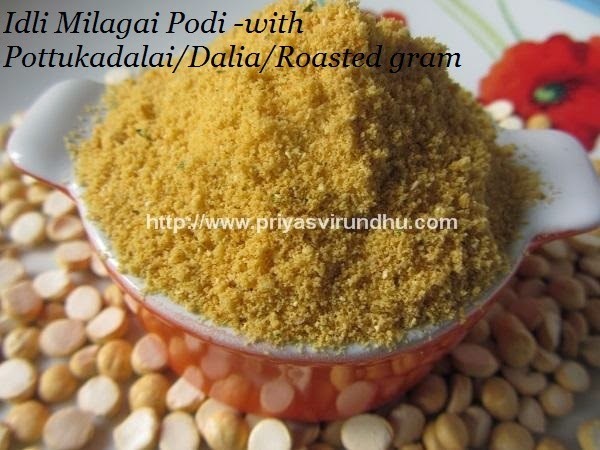 Today I am going to share a very healthy and Idli Milagai Podi made with Kollu/Horse gram. Horse gram/Kollu is most protein rich lentil high in rion, calcium and protein. It is low in fat content and actually helps in management of obesity, because it has the ability to attack fatty tissues. There are several recipes made with Kollu like kollu kootu, kollu rasam, kollu chutney, kollu drink/water, kollu thuvaiyal, kollu sambar, kollu sundal etc which I will be posting in the future posts. 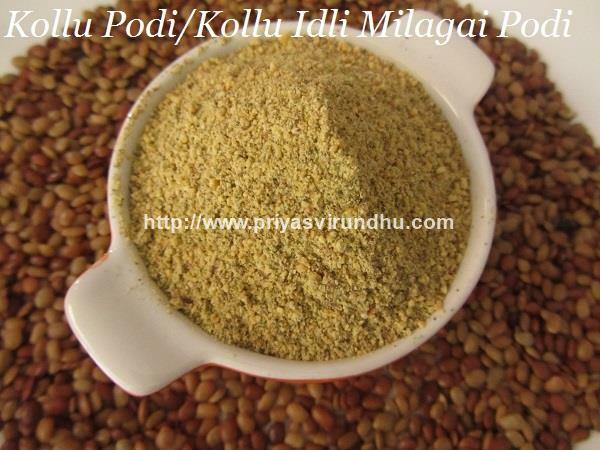 For now try out this healthy Kollu/Horse gram Podi and post your comments. Check out other Podi and Chutney Varieties here. 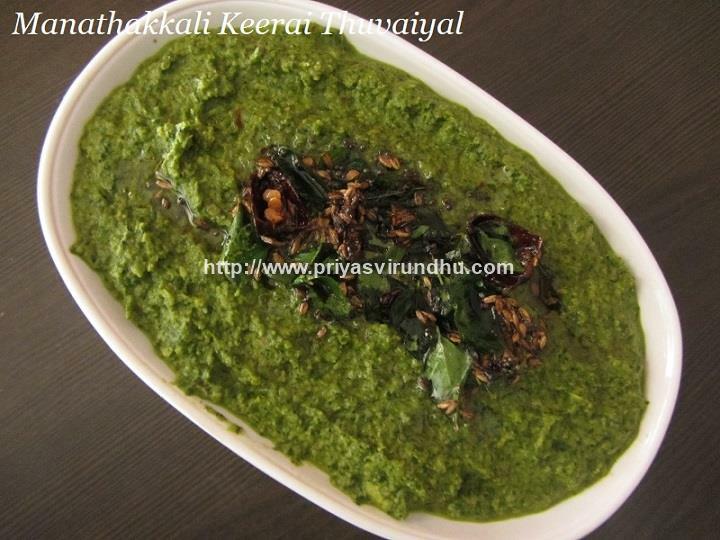 Gongura/Pulicha Keerai/Sorrel leaves chutney/pachhadi is a very popular Andhra cuisine found in all most all the homes, hotels, restaurants, food joints etc in AndhraPradesh. Gongura leaves is called as Pulicha keerai in Tamil. It is loaded with iron, vitamins, folic acid and anti-oxidants. Gongura comes in two different varieties, green and red stemmed. The red stemmed variety is sourer than the green stemmed variety. 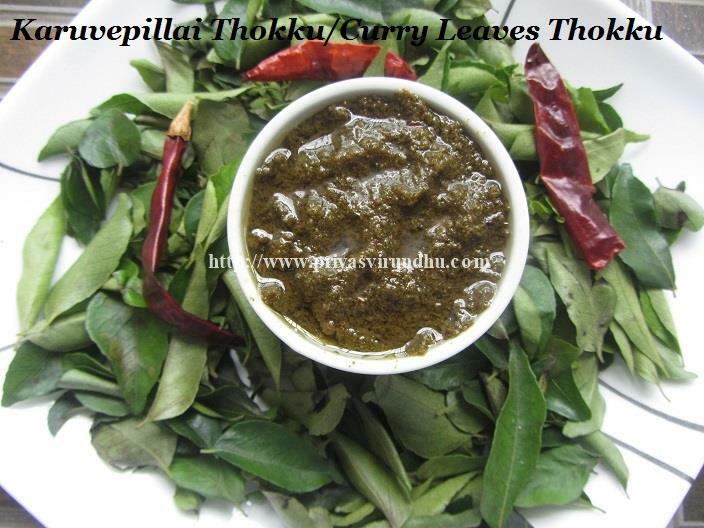 This thuvaiyal is a perfect blend of sour leaf with dry red chillies, dhania, fenugreek seeds and garlic. 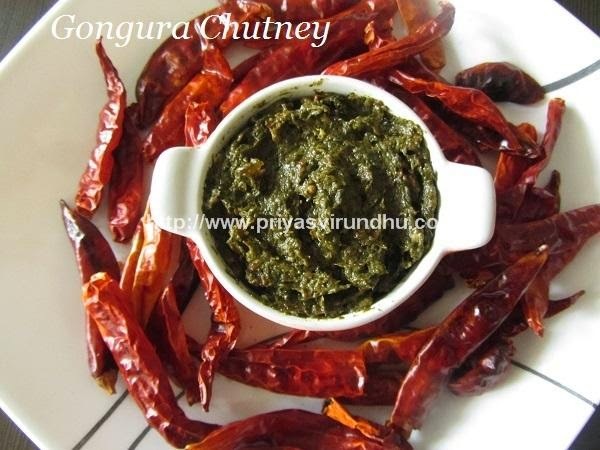 Try out this delectable Gongura chutney and post your feedback. Check out other interesting chutney & thogaiyal varieties here. Now that summer is at its peak, everybody is busy preparing vadams, vadagams etc. My mom usually makes Vegaya Vadagam/Thalippu Vadagam at this time of the year and it comes in handy throughout the year. You can as well buy this thallipu vadagam in supermarkets or pappdam/appalam/vathal shops. The thalippu vadagam is bundled with flavour and aroma, which kick starts our senses the moment you smell it. It is used especially for tempering kaara kuzhambu, vatha kuzhambu, fish/meen kuzhambu etc, which adds extraordinary flavour, taste and aroma. Today I am going to share very simple and quick vadagam chutney which can be made in just 10 minutes. 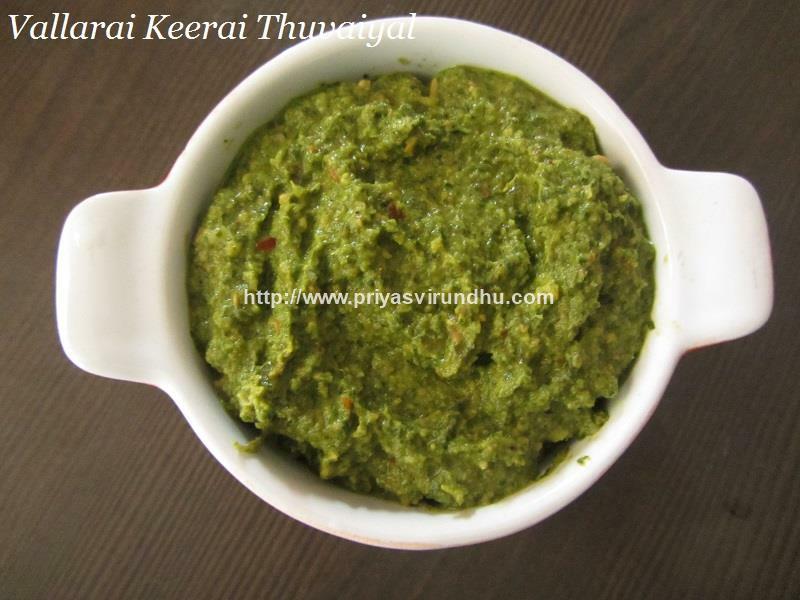 Do try out this flavourful and tasty chutney and have a great day. Do not forget to check out other chutney varieties here. 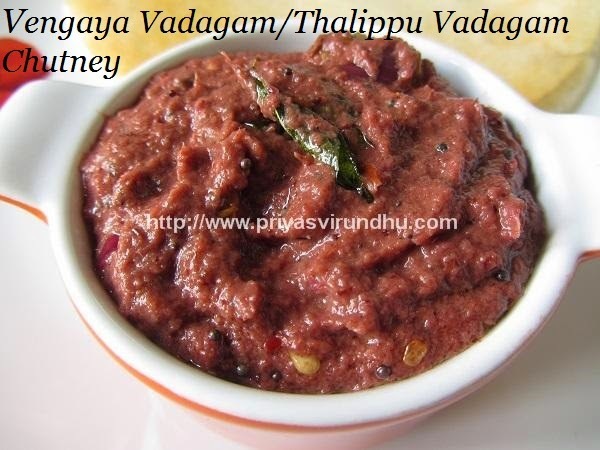 Here’s how to make Vengaya Vadagam Chutney with step by step photos. 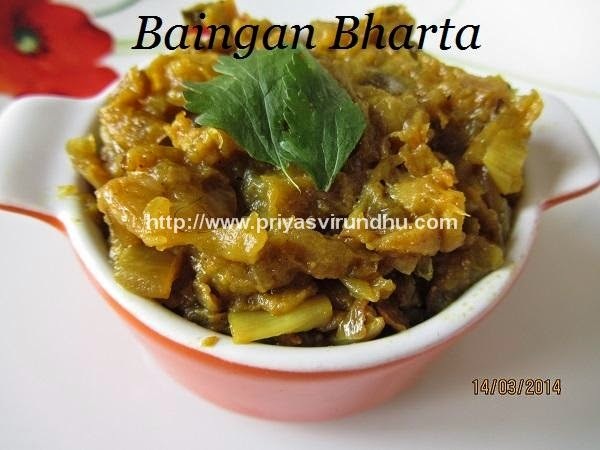 Baingan Bharta is a simple and delectable Punjabi recipe. Though the recipe is very easy and simple the taste is extraordinary and complex because of the smoky and charred flavour of the Baingan/Eggplant. The word bharta or bhurtha means chopped or minced vegetables made from egg plant with is grilled over charcoal or direct fire to infuse the dish with a smoky flavour. In South India especially in Tamil Nadu we make Kathrikkai Chutney/Baingan Chutney/Egg plant chutney which is also smoked and made with less ingredients but also is fantabulous. Do check out Kathrikkai Chutney/Baingan chutney, Baba Ganoush[Middle Eastern delight] made with Aubergine/Egg plant/Baingan in the above links. Try this baingan bharta and baingan recipe friends, each recipe has unique taste and you will surely fall in love with it instantly. 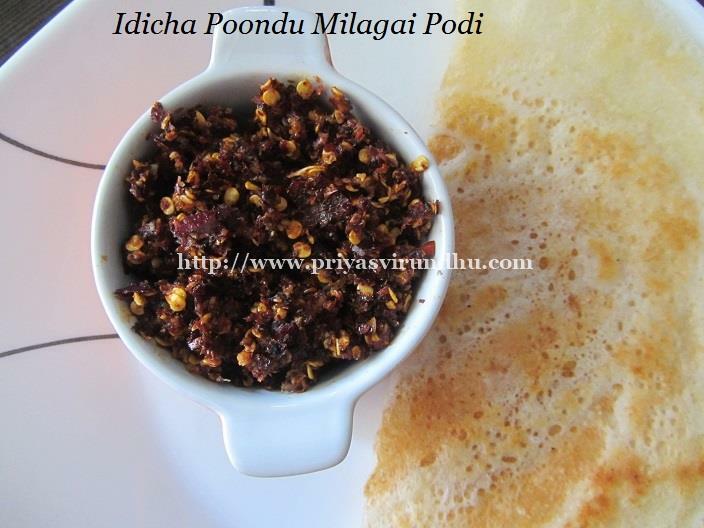 Today I am going to share a very simple, flavourful and easy idli milagai podi made with roasted gram/pottu kadalai. This podi is not very spicy, but can be made spicy by adding more red chilli powder. Chutneys play a vital role in South Indian breakfast. I always tend to make different types of chutneys for breakfast or dinner so that I don’t get bored cooking and my family doesn’t get bored eating the same type of chutney again and again. 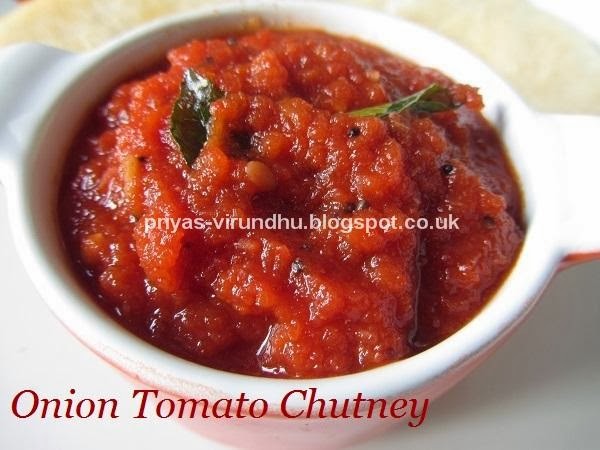 Today I made very simple and easy onion tomato chutney which can be made in a breeze. 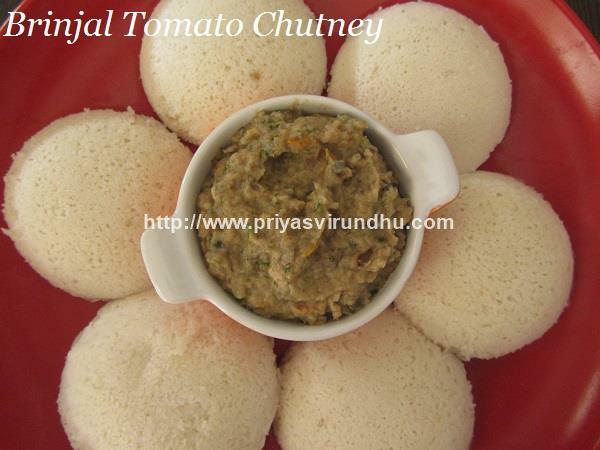 Do not forget to check out other delectable and mouth-watering Chutney/Thogaiyal varieties here. Baba Ganoush is a dish made out of Eggplant/Aubergine/Kathrikkai, along with tahini paste, garlic, lemon juice and olive oil. The Eggplant/Aubergine is baked or broiled over an open flame and the skin is peeled out. This is done to make the Eggplant pulp soft and to get a smoky taste. It is a very common and popular dip eaten along with kuboos/pita bread in the Middle East. I have had this Baba Ganoush several times in Lebanese restaurants when I used to live in USA. Another very similar and authentic dip/chutney made in Tamil Nadu [South India] is the Sutta Kathrikkai Chutney which also has the smoky taste along with Indian spices and seasoning. Do check out the Tahini Paste which is the base for the Baba Ganoush and also try out the Sutta Kathrikkai Chutney – South Indian version of Baba Ganoush.